Home / General Interest / What is a sovereign wealth fund? Norway’s sovereign wealth fund, the largest in the world, has just exceeded $1 trillion for the first time. But despite their rapid rise, they are often less well understood than other types of investment vehicles. So here’s a closer look at what sovereign wealth funds actually do. What’s a sovereign wealth fund? It’s simply a mechanism through which countries make investments. A pot of money – often derived from oil or other commodities – that is then invested in shares, bonds, property or other areas of potential growth. 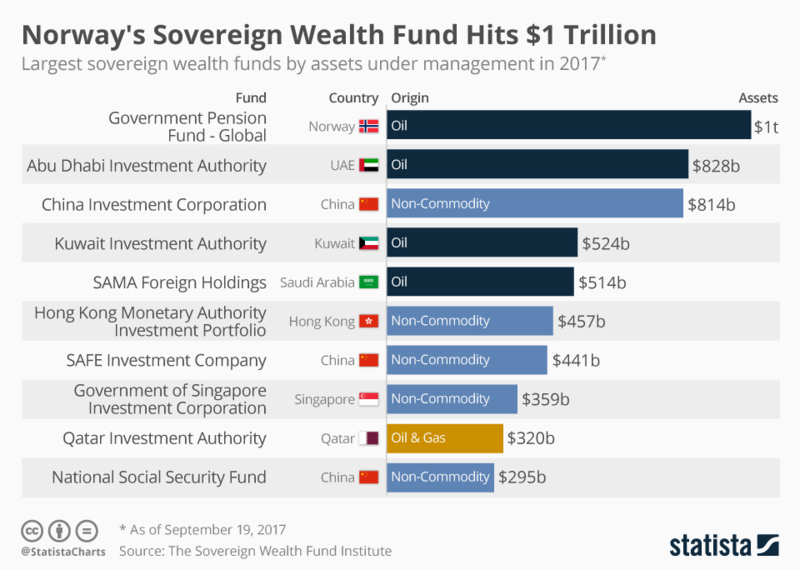 Many of the countries that use sovereign wealth funds (SWFs) have economies that are heavily reliant on one source of income, for example oil revenues in Norway and the Middle East. The investments made through the SWFs are effectively a way for those countries to diversify and become less reliant on a single stream of income. 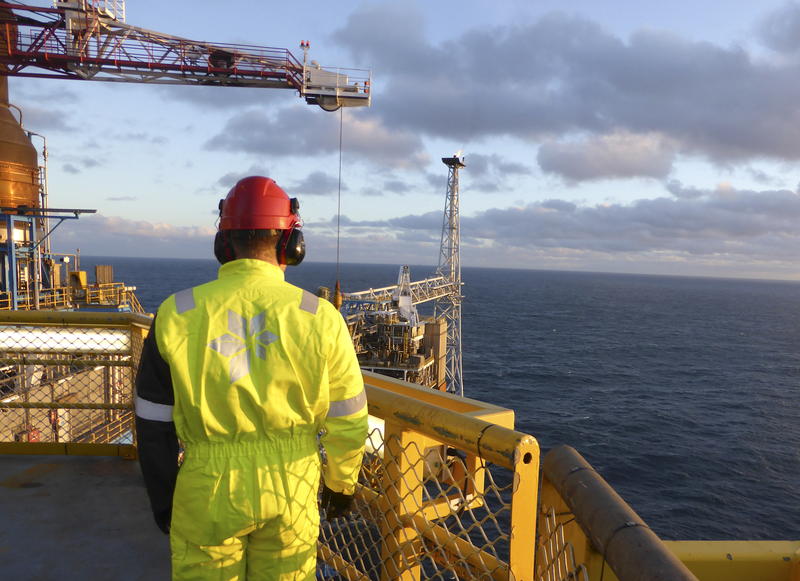 Norway, home to the world’s biggest SWF, is a significant producer of crude oil and began using a SWF for investments in 1996. Its mission is to build up wealth for when the oil and gas reserves run out. Norway’s SWF has grown to become one of the world’s biggest investors in stocks, owning $667 billion of shares in over 9,000 companies worldwide including Apple and Microsoft, according to the Sovereign Wealth Fund Institute. Other countries with sovereign wealth funds that are financed from oil and gas revenues include Abu Dhabi, Kuwait, Saudi Arabia and Qatar. These countries have economies that depend heavily on their natural reserves, making them vulnerable to the fluctuations in oil and gas prices. China has a number of SWFs that are not generated from commodities, including the third largest in the world – the China Investment Corporation. 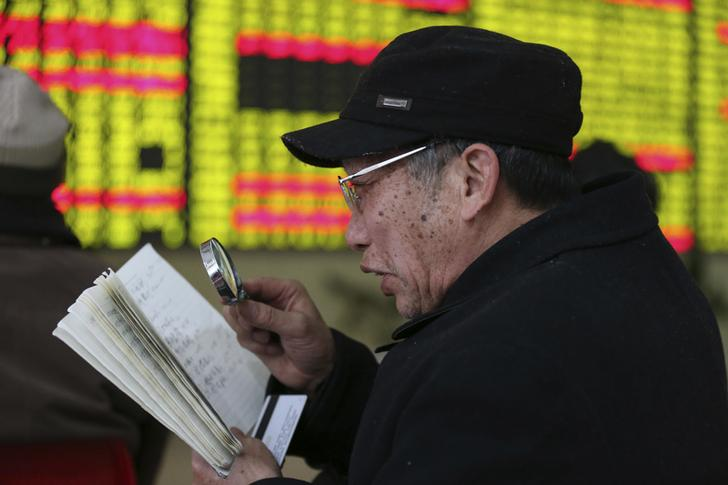 It was created around 10 years ago to diversify China’s foreign exchange holdings and now has a value of $814 billion. 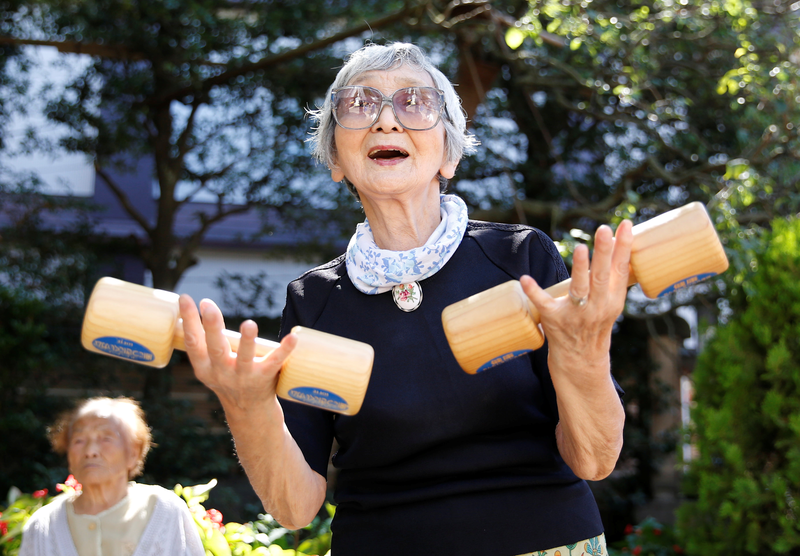 Japan, which is struggling with the combination of a large elderly population and a shrinking workforce, also has a non-commodity-based SWF which aims to increase its pension pot. Globally, more countries are using SWFs, with more than 40 new funds created since 2005, primarily from emerging markets such as Mexico and Turkey. According to the Sovereign Wealth Fund Institute, the combined assets of these funds now exceeds $7.2 trillion, twice the size of what it was in 2007. Although SWFs are smaller than some of the world’s biggest asset managers, there is concern over their power and influence. Some of the biggest funds, with the notable exception of Norway, are not completely transparent about their investments, performance and corporate governance practices. That has led to concern that the investments could be for political rather than purely financial motives. There is also concern that the size of the funds means they could cause large price movements and destabilize the global financial markets. Such sell-offs can cause fear in the markets and possibly cause other investors to sell too, even if there is no fundamental reason why the shares should be sold. These concerns have led to repeated calls for greater transparency. The International Forum of Sovereign Wealth Funds is urging members to sign up to a code of conduct, known as the Santiago Principles, which calls for annual reporting. As the popularity and size of SWFs continue to grow, such principles will become all the more essential.